We talk with Peter Horst, Fortune 500 CMO & author of the bestseller, Marketing in the #FakeNews Era. We discuss his career journey as CMO across verticals - including Capital One, Ameritrade, and Hershey, how employee conduct outside the office threatens brand reputation, and explore the ways digital technology is transforming business operations, especially in marketing. 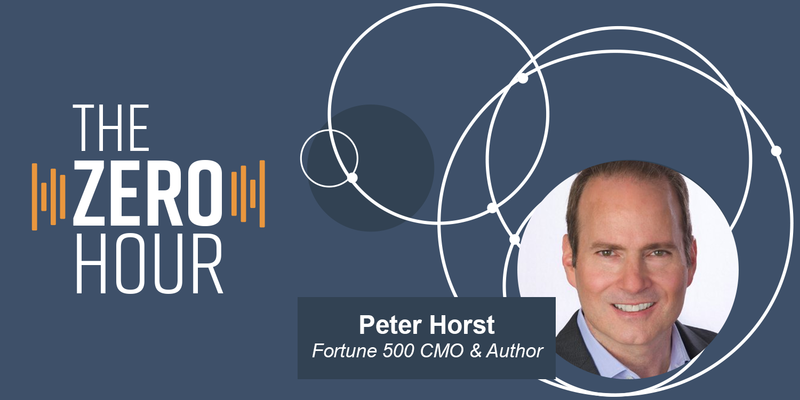 Peter Horst is a Fortune 500 CMO and innovation leader with 30 years of experience across diverse industries in consumer and business products, services and technology for market leaders such as Capital One, Hershey, General Mills, US WEST (CenturyLink), and TD Ameritrade. His ability to ignite dramatic growth and profits with breakthrough strategies and innovation has characterized all his work. As Founder of CMO Inc., Peter now consults on brand and marketing strategy and coaches up-and-coming marketing leaders. He’s a Forbes contributor and author of the bestselling book, Marketing in the #FakeNews Era. Peter serves on the board of advisors of several companies in technology and consumer products.